Poker PLAY! 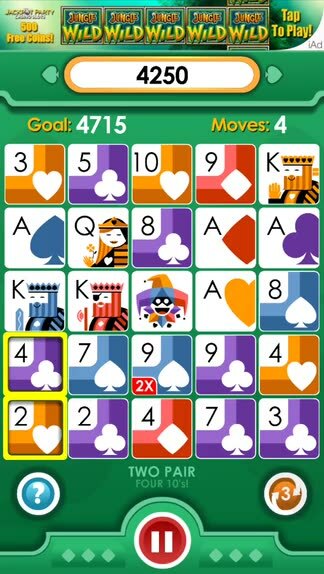 (Free) by WildTangent, Inc. is a fun little puzzle game with a challenging poker theme that will appeal to anyone, even if you don’t like poker. 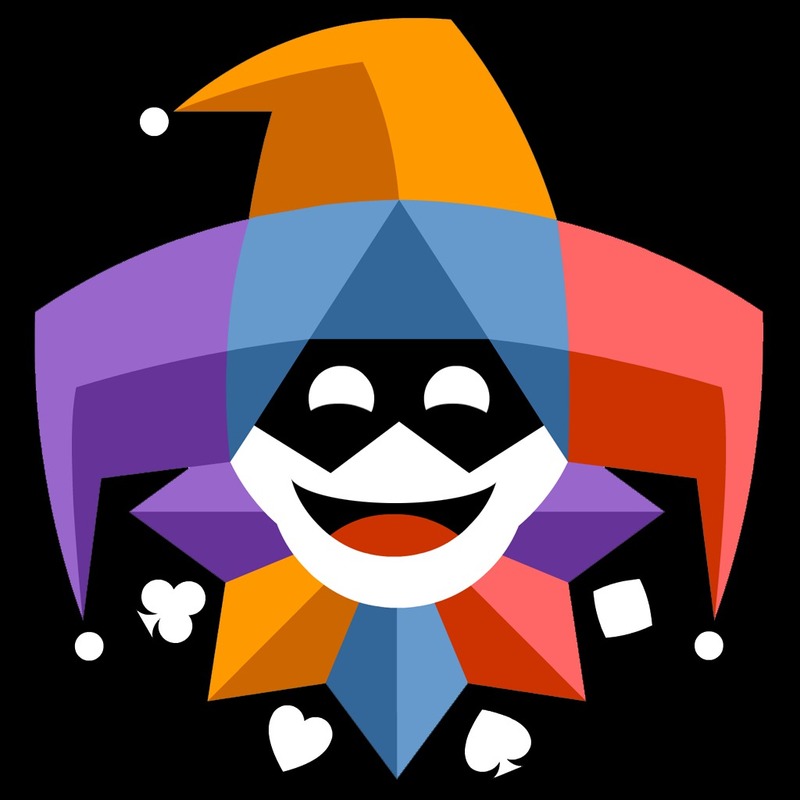 If you enjoyed games like TwoDots and JELLIES!, then you will like Poker PLAY. When it comes to iOS games, I am a sucker for the puzzles. It doesn’t matter what kind of puzzle it is — I just love them all. They’re my favorite type of game because of the simple gameplay mechanics, but they’re always stimulating, which is a great thing. However, I’m not a big fan of poker, or most card games, but I know the basics like what makes a good hand in the game and such. So when I stumbled upon Poker PLAY! in the App Store last week, I was intrigued by the combination. After giving it a try for the past few days, it’s a great way to pass some spare moments throughout the day. 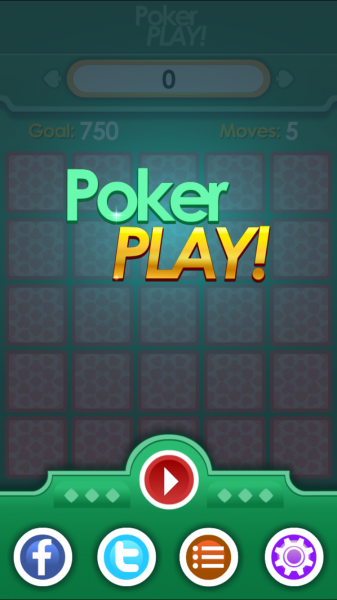 The visuals in the game are bright and colorful, representing what you would find at a poker table. So it still has a bit of skeuomorphism going on, but I find it acceptable, as it’s just part of the theme. The colors are bright and vibrant, so it’s fairly appealing and looks great on Retina screens. 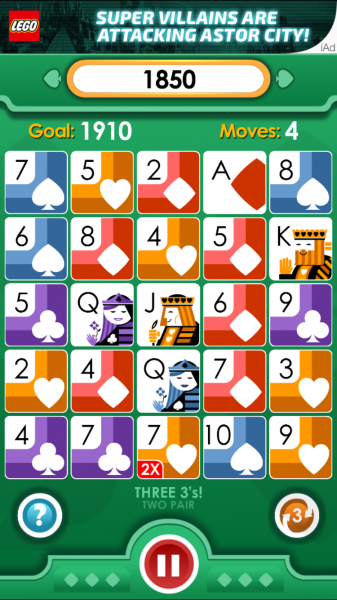 The animations you see as you make matches and clear cards off the table are smooth and fluid. There’s no background music, but the sound effects are quirky and fun. 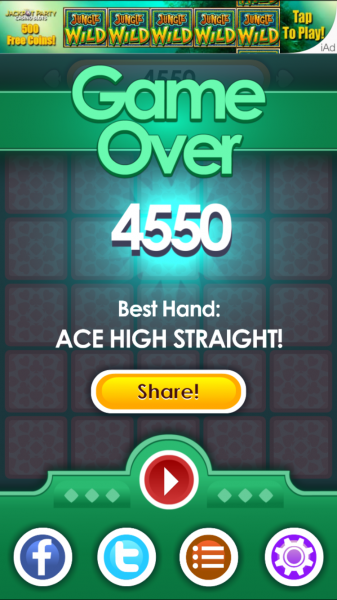 There’s only one game mode in Poker PLAY!, and that is to get as many points as you can. You only have a certain number of moves to make in the game, so you have to make sure to make them count. 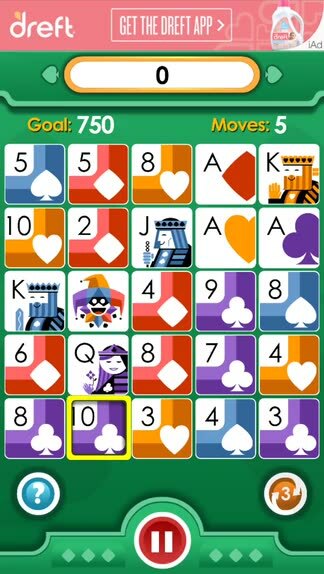 However, there is a point goal, and if you reach it, you will be awarded more moves depending on how good of a hand (five cards) you just played. The number of points you earn from each hand is conditional on what you played — the better the hand, the better. Of course, sometimes you will need to play a bad hand to set up the board for an amazing one — you have to be risky! 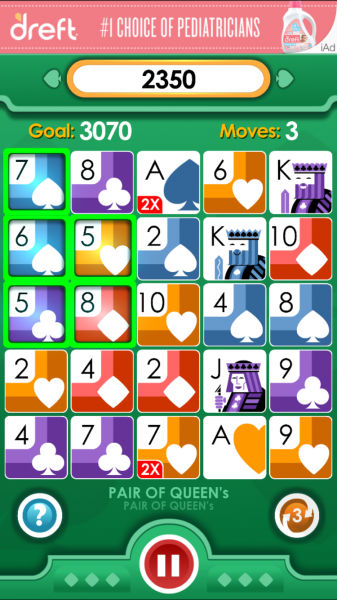 The controls in the game are simple — to make a hand, just swipe your finger over the cards you want to play. 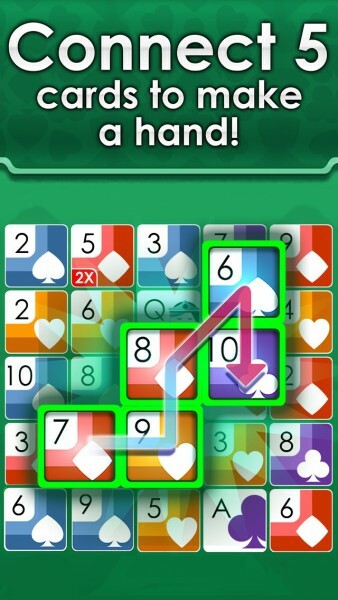 You can start from any card and connect adjacent ones to form your hand. 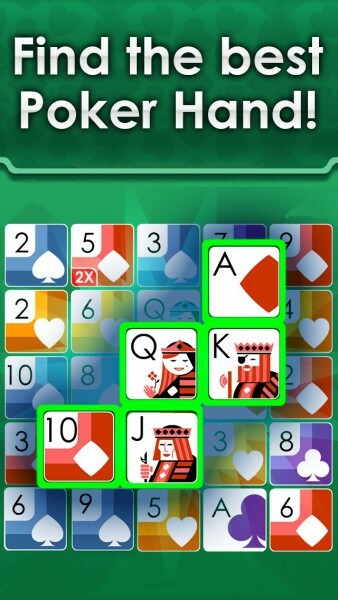 A yellow outline on a card will appear as you’re deciding, but when you have the five cards required, it will turn green so you know that you can submit it by releasing your finger. If you are stuck, you can use on of the three shuffles available every game to try and get a better card arrangement. Sometimes a card can be worth double the points, which is applied to the entire hand, so make sure to take advantage of those when they show up. If you’re unfamiliar with poker terms, you will be able to see what your hand was called (at the bottom of the screen) after you submit your move. 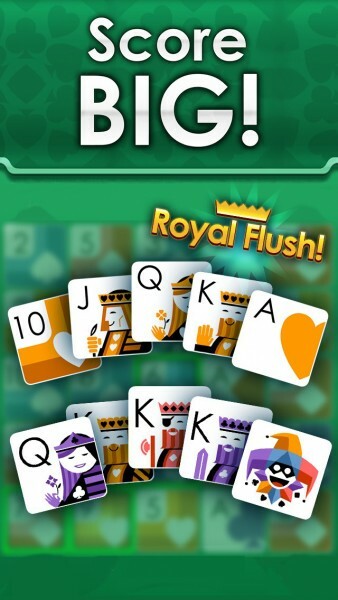 Royal flushes, full houses, two pairs, and all of the rest — they’re all here in this game. 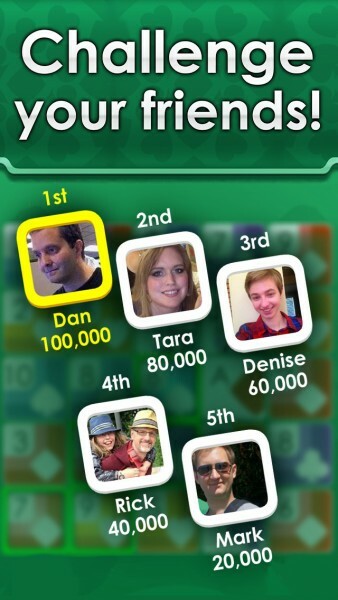 Given the limited number of moves, you’d better make them all count if you want to be on the top of the Game Center leaderboards. Poker PLAY! 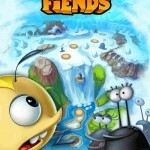 is a free game, so there are occasional ad banners. However, I found that they were not obtrusive with the gameplay so they don’t bother me much. I’m a bit surprised that there is no in-app purchase for getting rid of the ads altogether, though. There are no power-ups, so no other in-app purchases are in the game either. Normally, I’m not a big fan of free games because they can get obnoxious with IAPs. But Poker PLAY! 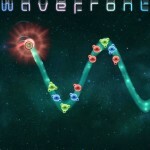 is completely free from all that nonsense, and it’s enjoyable with the colorful graphics and simple gameplay. 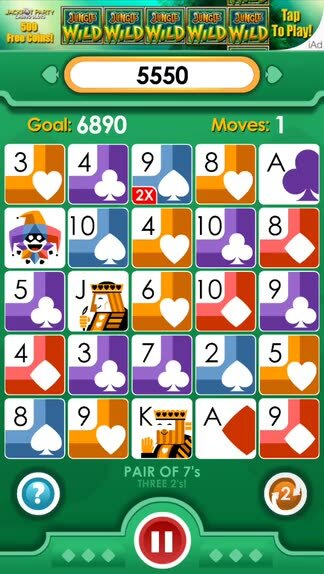 I wasn’t sure how a puzzle game with a poker theme would be, but it’s been delightful. Plus, you don’t have to lose any actual money while playing this. 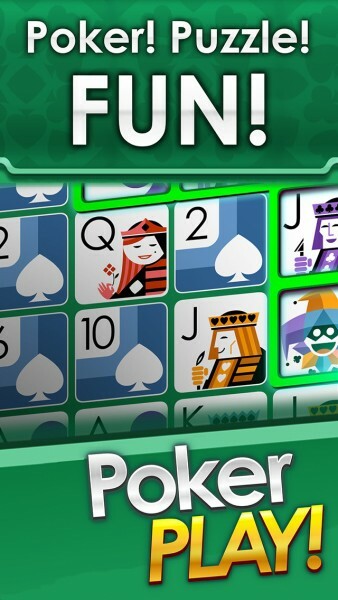 I highly recommend checking out Poker PLAY! if you like puzzle games that make you think. Being a fan of poker is just a bonus. You can find Poker PLAY! on the App Store as a universal download for free.